We understand not everyone can afford to drive a Tesla. Just like not everyone wants to pay $200+ for a quality vape. We are here because we saw an industry gap. 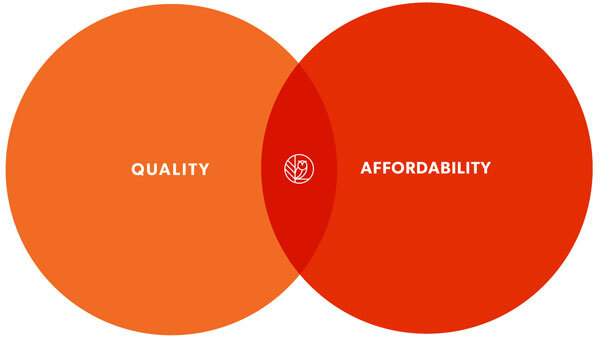 A gap between affordability and quality. Either you pay very little for a cheap vape or you get taken to the cleaners by the over the top prices of the big vape names. We set out to offer a happy middle ground with some fun features built in. Did we create a perfect product? No, there’s no vaporizer that is perfect. Did we create a unique highly functioning unit? Yes, we believe there’s no vaporizer that offers a higher level of portability and convenience than Wing. Thank you for joining the e&o family. You will always be treated with kindness and respect here, and you’ll be satisfied with choosing us.